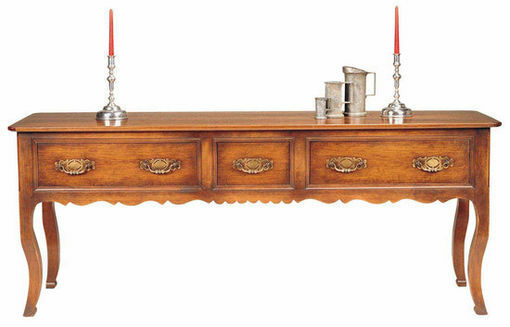 A detailed french style panelled server with cabriole legs. This server is panelled on the reverse as well as the sides. The detail of a candleslide on each end is a nice addition to this superb piece of furniture.